Potential talks between Saudi Arabia and Iran are bound to leave their footprints on many regional issues, including the war in Syria, political stability in Lebanon, the situation in Iraq and the level of Turkish influence in the region, analysts said. The need to resolve regional issues was among the main reasons for last week’s Saudi announcement of its invitation to the Iranian foreign minster to visit the kingdom, they added. The news has not only received a considerable attention from the media in both the countries, but also from elsewhere in the region. “Change in strategic interests led to this natural development,” said Saudi political scientist Waheed Hamza Hashem. Usually, a change in the strategic interests “is prompted by a new political leadership with a new vision, or when the two parties reach a conclusion that a conflict will hurt and won’t help,” Hashem told Gulf News. Last month, Saudi King Abdullah Bin Abdul Aziz removed Prince Bandar Bin Sultan from his post as Chief of Saudi Arabia’s intelligence. The government attributed the removal to health reasons, but there were speculations that the move was related to his performance on the Syria dossier. Prince Bandar, analysts noted, was among the hawks who took a tough stance on Iran and its Arab allies in Syria and Lebanon. “The key to end the Syria crisis is in the pockets of Saudi Arabia and Iran,” wrote Abdul Bari Atwan in a Facebook posting recently. “The situation in Syria was the reason behind the escalation between the two countries and it is also the reason that could bring them closer,” he added. Apart from Syria, closer ties between Saudi Arabia and Iran could have a positive impact on neighbouring Lebanon and lead to the election of a new president, ending the current stalemate, observers say. They cite previous experiences at forming governments in Lebanon, which kept failing for months and created a political vacuum until the two countries used their influence. At the same time, the “Saudi frustration from the mysterious American behaviours coupled with the lack of an active role from the US to help the Syrian people were among the signs that indicated to the Saudis that it is better not to continue on the collision course with Iran,” Hashem said, referring to concern in the region that the US may be disengaging from the region in favour of a renewed focus on Asia. The US was among the Western powers that reached an agreement with Tehran last year on Iran’s nuclear programme. An American-Iranian rapprochement came without consultation with Saudi Arabia despite the strong and historical relations between the two, Arab analysts noted. 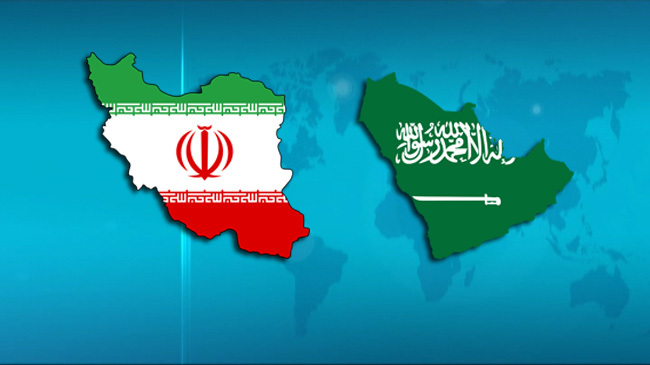 Iran has signalled its wish to improve relations with the regional heavyweight Saudi Arabia. Since he took office last year, Iranian President Hassan Rouhani has spearheaded a conciliatory shift in Iran’s foreign relations, and sent his foreign minister Mohammad Javad Zarif on a Gulf tour that included UAE, Oman, Qatar and Kuwait. Last month, noticeable attention was given to a meeting between new Saudi ambassador to Iran Abdul Rahman Al Shehri and former Iranian president Ali Akbar Hashemi Rafsanjani, who had good relations with the Saudis during his presidency. During the meeting, the Saudi diplomat kissed the Iranian politician on his forehead, a move that created controversy in Saudi Arabia. One Arab columnist, however, called it “the kiss of life”, between the two countries. “I believe Iran suffers from isolation” and that is why it wants to mend fences with its Gulf Arab neighbours, said another Saudi analyst who did not want to be named. Yet, the Iranian influence in many Arab countries is on the rise, including Iraq. One of the possible interpretation to the Saudi effort to build better relations with Iran is to “contain Turkey and exert a pre-emptive effort ahead of any probable Iranian-Turkish agreement on the situation in Syria that could later expand to include Iraqi and Egyptian dossiers,” wrote Jordanian columnist Hazeem Ayyad in an article published in the Jordanian Al Sabeel newspaper recently. Turkey and the Gulf states, including Saudi Arabia took different positions vis-a-vis the developments in Egypt and Muslim Brotherhood. “Closer ties between Saudi Arabia and Iran represent a Saudi attempt to think outside the box. But leaving the [existing] box doesn’t only mean moving to a bigger one,” Ayyad concluded.